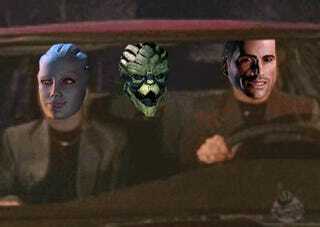 Since Sciencegal linked the image I was going to use as my Daily Dump header (dammit, I've been waiting all weekend to use that image), and I've been re-playing the Mass Effect trilogy lately, you guys get a picture like four people will understand. I hope you're happy. NapSauce really, really Hates "LOL"